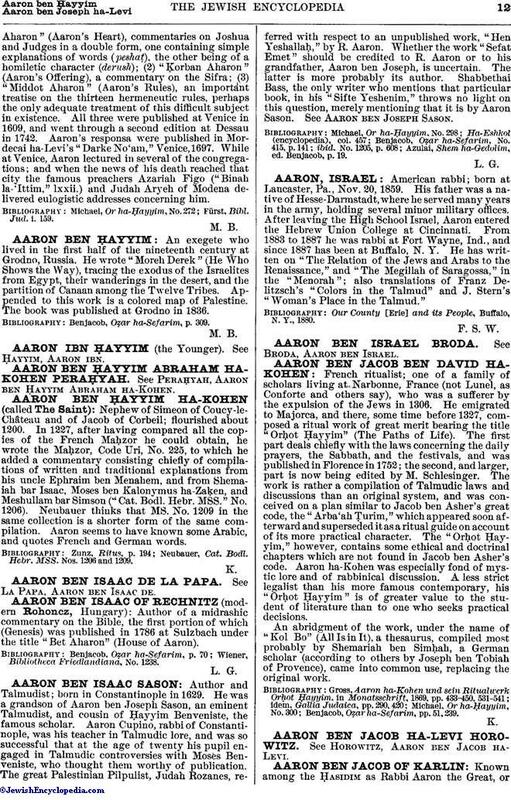 Author of a midrashic commentary on the Bible, the first portion of which (Genesis) was published in 1786 at Sulzbach under the title "Bet Aharon" (House of Aaron). Wiener, Bibliotheca Friedlandiana, No. 1238.